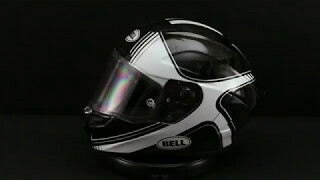 German helmet manufacturer BELL manufactured RACE STAR series with 1.50 kg (medium size) weight from carbon fibre material. Precision scales 1.588 kg kg average from 3 size L helmets. This model is tested in Sharp laboratories and received 5 stars. Important factor other than stars is impact zone diagrams which is colours. Frontal bone, coronal suture, parietal bone, lambdoidal suture regions have passed this test with green while squamous suture and temporal bone regions passed the test with green and yellow colour. 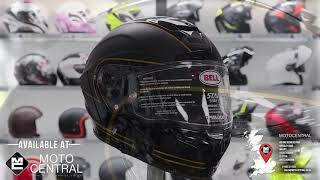 BELL RACE STAR has ECE REG 22.05 safety certificate. Every helmet that passes Sharp test has this certificate. 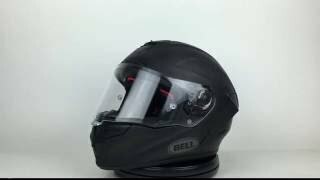 BELL RACE STAR can keep up with developing technology in security with double-d ring chin strap system and visor lock system. 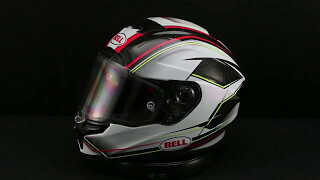 For air circulation, there are two ventilation channels on chin side, multi-channel single ventilation channel right above the visor, multi-channel single ventilation channel on the top, and multi-channel single ventilation channel on the back. All ventilation channels can be opened and closed. As in some helmets, you cannot keep this ventilation channels at certain level. 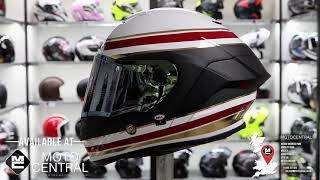 Aerodynamic structure of this helmet is rated 7.0 over 10 by COAU and ventilation structure is rated as 6.9 over 17.5 by COAU. BELL RACE STAR has pinlock. Therefore, visor fog will not be a problem. 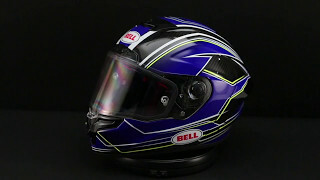 To keep visor clean in track conditions, visor has built-in tear off system. 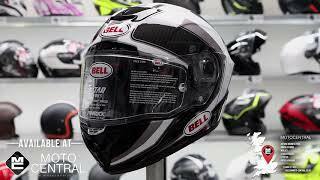 If we generalise user reviews for BELL RACE STAR, we can rate wide field of view of this helmet as 15 over 15. Wide field of view may be similar in most of the helmets but vertical field of view is rarely similar. Therefore, vertical field of view should be considered as this is an important element. When you take position especially on sport motorcycle, you need as much as vertical field of view to see in front of you clearly. We can say vertical field of view of BEL RACE STAR is at good level. 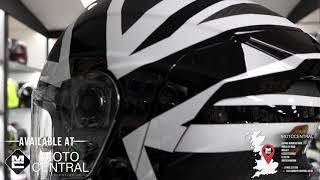 Vertical field of view of this helmet is rated 7.5 over 7.5 by COAU and visor wind proof level is rated as 10 over 10 by COAU. 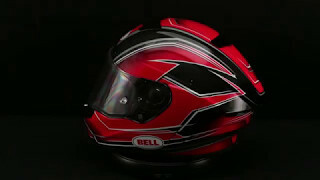 We can say that BELL RACE STAR is designed for Intermediate Oval head structure and fitness of this helmet is at medium level. 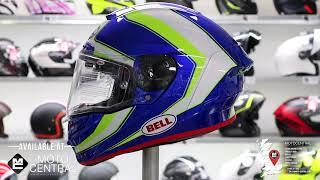 From outside, helmet will look neither larger nor smaller than your head. BELL RACE STAR has emergency kit, breath deflector, glasses grove, chin wind curtain, removable and washable cheek pads. 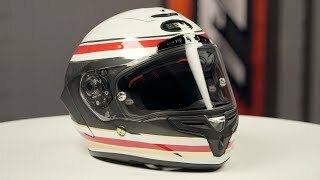 I purchased this helmet with daily riding in mind. It works fantastic! The vision is wide, and true. I do not notice fatigue from weight or design. I wish the helmet was more compatible with my SENA headset speakers, but the clearance for the ear pad snaps is just too small. Overall, a great purchase, worth the price, and definitely stylish!